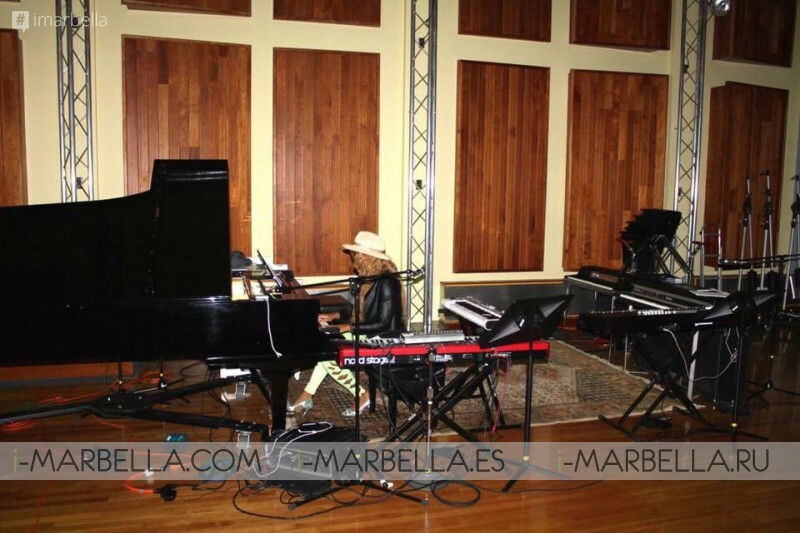 The famous Cuban Pianist, Composer, Arranger and Singer from Marbella, Yanela Brooks recording next musical project in Cuba and USA and dedicated to all the girls in the world. Yanela Brooks was so nice and gave an exclusive interview to i-marbella short overview what she is doing now. 1. What were you doing in Cuba? (Oficial institute of movies and tv of Cuba) under the direction of prestigious directors of the island. 2. What is this album all about? It's an experimental album to dance like crazy, and to listen and reflect as well, I am gonna show out all I have inside as a woman, and through my voice I will share how the contemporanean girl feels inside: workers, independent, strong, beautiful. We are working with an awesome team of young and very talented people. They really really have super powerful talent. I will do the same in NYC, my team and I are focused to create and produce with gifted people around the world, there is so much talent in this industry that at the moment nobody see it, this time we want to show out the world pure talent, no only big names but TOP talents. 3. What else is going on? I will have some collaborations with Top artists but I won't say a word about it atthe moment because we are looking to surprise my audience and fans. I only can say that it is gonna be an incredible musical project, I made it with so much love, with the best talents of Cuba and USA, it is focused on New York's underground musicians. 4. When will the album be ready? We are not in hurry as an experimental album we are a focus on the quality and not on the comercials dates, but definitely this year, everybody can know the process through my social media. 5. What are you doing in Marbella at the moment? I will be here only 20 days for my private concerts, one of them for Starlite owners and partners in Sierra Blanca, 2 in Zagaleta, another in La Bobadilla Hotel in Granada and another big surprise, that I will comunícate at the right time. After that, I have to go back to Cuba and USA. 6. How is Cuba doing? Cuba is getting better, step by step. I am collaborating with Kempinski company since 2010. They just opened the most important hotel in Cuba, "Gran Manzana Kempinski". hich is amazing. Thank you for your time and i-marbella wishes you all the best and we can't wait to listen to the New album!